Russin Vecchi & Heredia Bonetti (RV&HB) is an international law firm founded in 1969 with a global vision of the practice of law, committed to service excellence, innovation and the highest ethical standards. 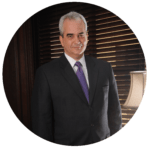 The firm is recognized as a pioneer in the practice of business law in the Dominican Republic, with experience in all legal aspects of foreign investment and business in the country. The firm is also recognized for its contribution to the reform and legislative modernization of the Dominican Republic, and it continues support to the continuing education of professionals of the Law. Ethical and quality standards, as well as the experience of its staff, are reflected in the continued growth and sustained achievements experienced by RV&HB in the dynamic market of legal practice and have been the key in accomplishing the firm’s current positioning as one of the leading law firms in the Dominican Republic. Russin Vecchi & Heredia Bonetti is recognized for providing optimal legal advice regarding all aspects, ways, requirements, and registration of foreign capital in the Dominican territory, the legal structure under which these investments are made, including direct investment and foreign loans. Based on the current circumstances facing the Republic of Cuba and the opportunities for the promotion and protection of foreign investment and trade which have motivated the firm to launch ‘Cuban Desk’ as a step prior to the eventual opening of an office in Cuba. Local experts and strategic alliances with lawyers in Cuba allows the firm to offer advice to Dominican, US, European and other clients in the field of Cuban business law, the legal framework for investment and protection agreements, investment in property Real estate, aviation, intellectual property, labor law, regulatory framework for migration of foreign personnel, environment, and technological resources. Also, the banking regulations, Cuban banking system, as well as tax aspects.